This ultra heavy duty construction is approved for new ABS system power requirements on single or multiple trailer configurations. If you have any questions about this product by Tectran, contact us by completing and submitting the form below. If you are looking for a specif part number, please include it with your message. 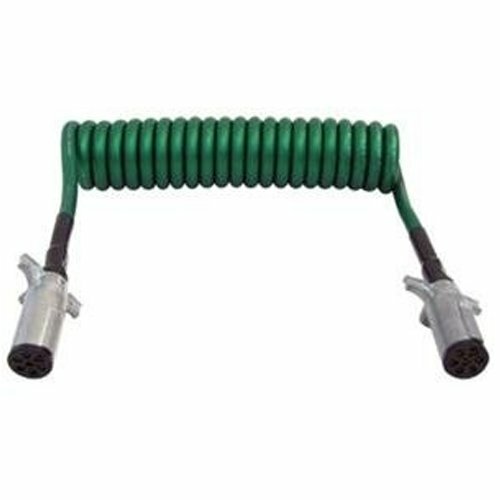 Stallion Power Truck Electrical Coiled Cable - ABS Duty - 2 Plugs - 15 ft.